BOOM! And she is off for 2015! 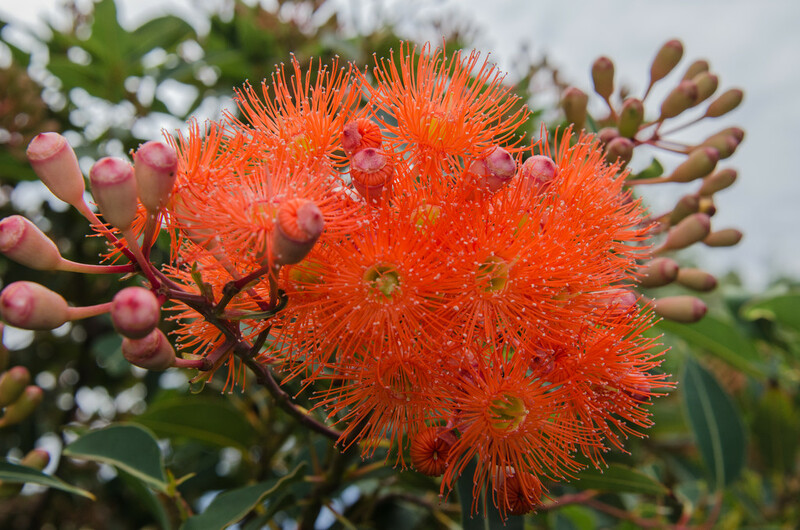 This is one of my favourite trees in our garden - our ORANGE Flowering Gum Tree. I've been waiting for her to flower this year and she welcomed in Xmas Day with a handful of gorgeous blossoms! No more blossoms have appeared as yet - but there are many, many buds waiting to flower! ha ha and to you - beautiful! Great colour. Love the fluffy flowers. So beautiful :)And one of my favourites too, so a definite fav! Such a gorgeous and spiky flowers -- so beautifully captured ! Really beautiful - what a wonderful colour. NIce to have it for Christmas. Beautiful tree. Never seen one this orange. Gorgeous color! What a striking flower! This is going to look fabulous when it is in full bloom. What a great burst of colour to brighten up the day! love how you've filled the frame with this. Lovely bright colours - pretty capture!